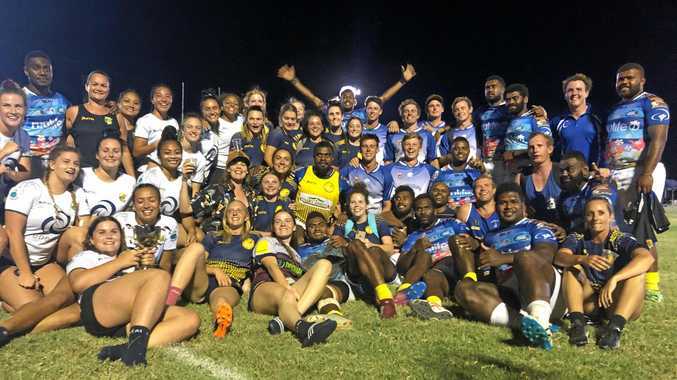 rugby 7s: Known for their rugby league premierships, the boys from Cities had a new challenge on Saturday: taking on Island Breeze in the final of the Santos Roma Rugby 7s on Saturday. While the home side team put on a fight, they were no match for the Melbourne- based team made up of Fijians which took out the game 36-0. In a game of fast feet, the away side was too quick for the defence, taking out the Tanya Osbourne Cup and $5000 in prizemoney. As runners-up, Cities collected $2500. In the AGL women's tournament, Brisbane side Tribes 7s won the Emilee Cherry Cup after defeating the Gympie Hammerheads 34-0. It was a local derby to decide who would take out the men's plate, with Scrum & Coke, made up of Roma locals, taking on Swamp Donkeys, a side stacked with St George players. It was the Roma team who claimed the win, defeating their southern neighbours 19-0. In the women's plate decider, a barbarians team, made up of Dalby and Toowoomba girls, formed the Flaming Galahs to defeat the CQ Dingoes 24-0. Aubigny Barbarians, made up of players from around Toowoomba, took on the Roma Echidnas in the bowl decider, winning 24-7. The Milton Pink Bats, which comprised Roma and Brisbane women, defeated the St George Frilly Fillies 39-0 in the women's bowl. David Hickey, from Roma Echidnas, said the day had been a huge success. "We couldn't have done this without our sponsors, Santos, AGL, and MPC Kinetic have all helped make this day so successful. 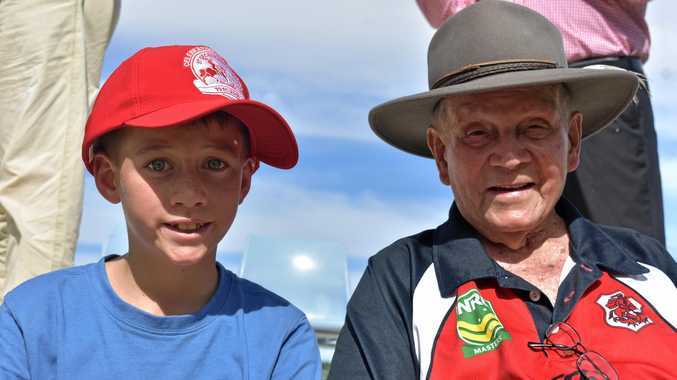 News Over 100 years, more than 10,000 players have donned the Saints' colours, with many returning home to St George to mark the club's centenary. Health Murray Sturgess shares his story of beating bowel cancer. News An historic church in the bush will soon hold its last ever service. © The Balonne Beacon Pty Limited 2019. Unauthorised reproduction is prohibited under the laws of Australia and by international treaty.